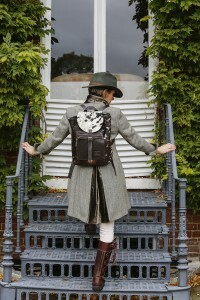 Thank you everyone at ‘The Frost Fair’, Elm Green School for your passionate response to our unique cowhide rugs UK! 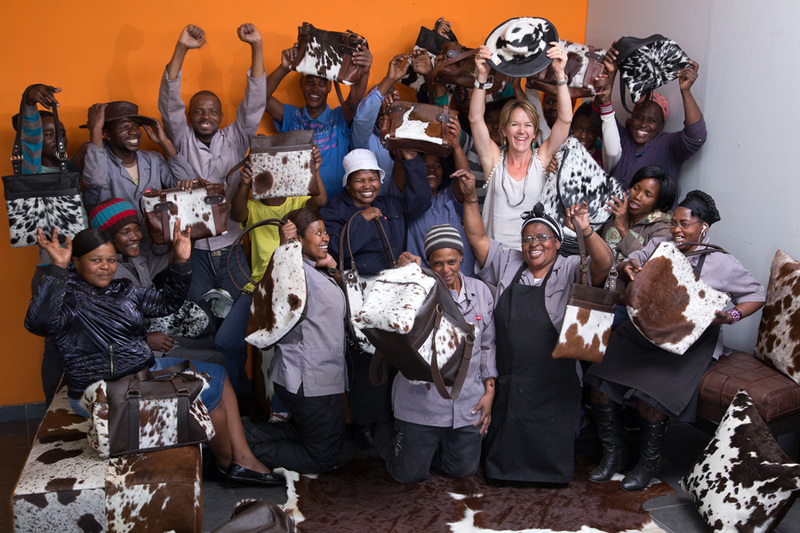 We had a fabulous time and were bowled over by the excited response to our sustainably-sourced; hand-crafted, cowhide rugs bags, belts, cushions, purses ‘Out of Africa’. Most of you couldn’t resist the gorgeous, tactile nature of our glossy hides and enjoyed a ‘touchy feely’ moment: stroking the cushions, bags and purses! That’s exactly what drew me to them originally: their exquisite, luxurious look and feel! 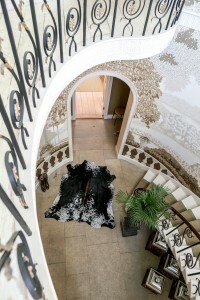 Many visitors were impressed by the high quality and dramatic patterns of our Nguni cowhide rugs, which are sustainably sourced from South Africa. All our hides are bi-products of the Nguni cattle. The Nguni are, and have for centuries, been highly valued by the Zulus for their political, economic, and aesthetic value. Indeed, the Zulus over the centuries have bred the patterns especially for their beauty and named the hides according to natural phenomena in the African veld in which they roam. The Nguni are renowned for their many varied markings and dramatic, multicoloured hides. They also form an integral part of Zulu culture. Not only are they interwoven in the lives of the Zulus, past and present, on a political, social, economic and spiritual level, but they also play a role in the linguistic tradition of the Zulus. Indeed, the Zulus have evolved a poetic naming practice for the cattle. They have named the various Nguni cowhides according to the way in which they reflect aspects of the natural world around them. Hence the names the Zulus give to the different hides are inspired by imagery of the birds, animals and plants in their world. Below: A few amateur (!) photos of some of Zulucow’s cushions, cowhide rugs, bags, purses etc at The Frost Fair last Saturday.